Inspired by a certain heroic figure from both comics and the silver screen, these Patriotic Hero Arm Bracers are quite the accent to sport! 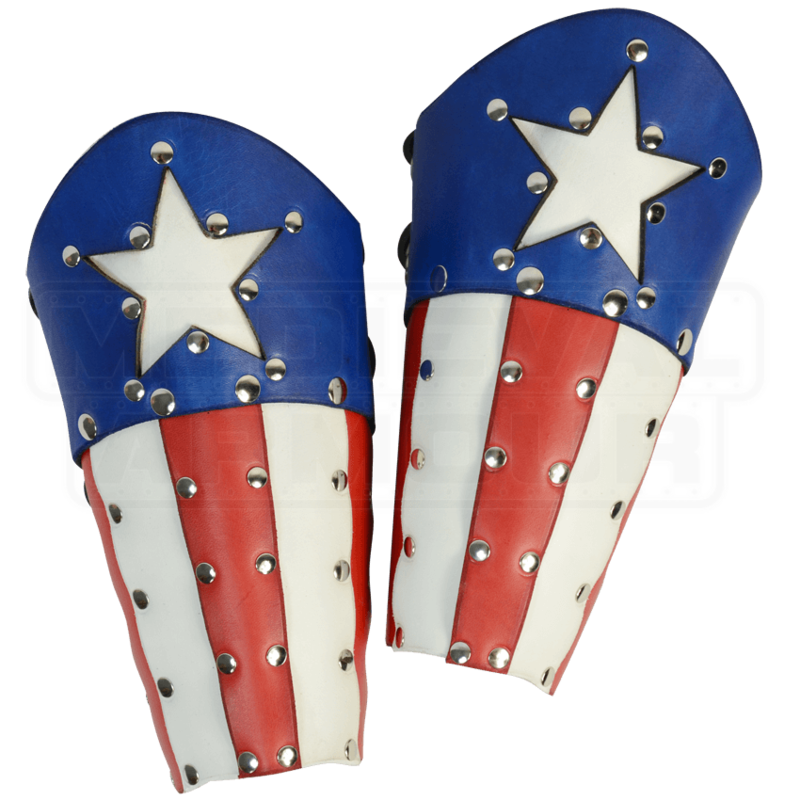 Detailed in the colors of the flag, these bracers are a perfect choice for any hero to own and wear. Crafted entirely in high quality leather, these bracers are a handsome choice that is sure to evoke some feelings of patriotism, as well as draw some looks from those around you! Colored in red, white, and blue, they are a noble piece of armor that complements any heroic look as well. The bracers are offered in one size and are highly adjustable. Please be aware that the white sections should be kept clear of other objects, as that coloring is particularly delicate and could scuff easily. Stand tall and celebrate your nation, and perhaps a favorite hero, by picking up and wearing these Patriotic Hero Arm Bracers!